Three has decided that only allowing one person at a time to use its mobile dongles is a travesty of justice, so has brought out the D100 Wireless Router. It works like any other router, the only difference is you plug in your dongle to the unit, and then everyone can get all Wi-Fi happy. However, despite 3's generous 15GB per month allowance, you might want to stop people spending all day on YouTube if you want to keep your allowance intact. 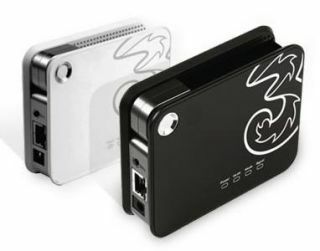 3's network capabilities should mean the amount of data required for web browsing will be available from the unit, though connection speeds are likely to be a little lower than you might get from BT HomeHub. But it's only £70 when you take out a mobile broadband tariff from 3, so if you're an 'off the cuff' kind of broadband user, then this could be for you.